New York Painting Services is fully licensed and insured to provide a number of painting and related services to commercial and residential properties in New York and New Jersey since 2004. 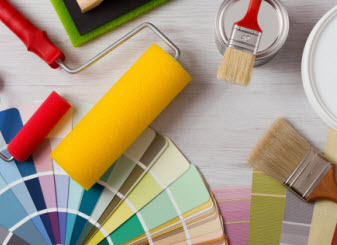 As an experienced painting contractor we specialize in beautifying your home or business with the help of high-quality products, materials, and equipment used by artisans with experience and talents to deliver astonishing results. Not only relying on our phenomenal expertise, New York Painting Services delights on friendly customer service at every opportunity and ensures every experience with us is phenomenal and the end result is of remarkable quality. New York Painting Services offers assistance painting homes and businesses across New Jersey and New York in a multitude of ways. 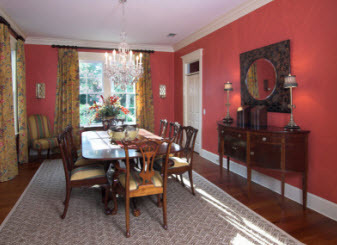 Offering tips and advice on painting and interior design is one of our specialties. Helping those more inclined for neutral colors has more options than you might suppose. Different designers all have their own opinion on what constitutes a neutral color, but aside from traditional colors, new colors have been introduced into the neutral painting color’s palette. The classic neutrals remain a part of the family, but the subtle hues with a definitive color present are added into the color. 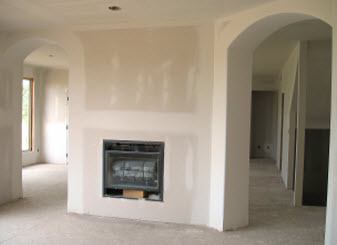 But despite the recognizable shades, they can be used like traditional neutrals. The neutrals utilized in homes and businesses across New York and New Jersey have their advantages as the painting color choice. These options are classic colors with flexible and livable benefits. Neutrals are an exquisite choice for those that are not sure what color they want as well as those who prefer colorful décor pieces or visually balance a bold accent wall. Creating both restful and soothing or warm and energizing, the neutral color palette brings subtlety and style. A color which didn’t fall into any of the standard color categories associated with the color wheel is the traditional definition of a neutral color; gray, brown and white families are a prime example. These colors, like taupe for example, lack a distinct color and will optimize any furnishings or color schemes. Gray tones, for another example, embellish sophistication with a modernized feel. Light grays, at the whiter scale can create spaces of refinement that are fresh where the dark grays are more grounded with the dominant presence of black but with less weight. With the new ideology surrounding the neutrals are sweeping in the design world and are dissolving the traditional boundaries. Often lighter versions of a color, the new neutrals consist of softer and muted tones. Because of their color make-up the new neutrals are regarded as complex colors. Rich in undertones but reduced in vibrancy the neutral colors are made by mixing multiple colors to enhance the new hues. With the subtle presence of color the neutrals impart makes them safe options to create the atmosphere correlating with your current motif. Neutral colors are designed to harmonize the understated appearances in your home while establishing comfort and elegance. To make the look long lasting yet flexible, the neutral painting colors are an independent stylish trend. With versatility fitting for an assortment of interior design style from contemporary to traditional allowing any color scheme, furniture, and accessory for a timeless and tasteful choice. Neutral painting colors are optimal for not only the interior of your home, but the exterior as well. It blends with any neighborhood but keep its own distinction. To paint your home or business in New York and New Jersey areas in neutral color paints, call the specialists of New York Painting Services today!